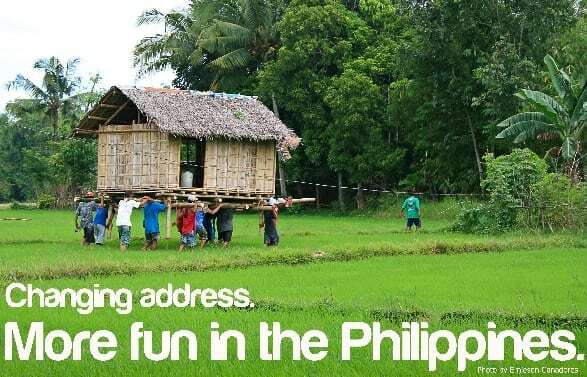 Tourism Investment: Is it more fun in the Philippines? Are you looking for areas of investment in the Philippines? Or an owner of a tourism-related establishment assessing your business outlook? 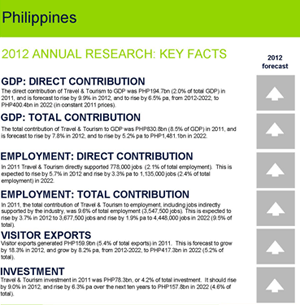 Are you asking is there a future on investing on tourism-related business in the Philippines? Perhaps the following data can help you. The tourism industry is recognized by the government as a powerful economic growth engine for the country , being an important contributor to the generation of foreign exchange earnings, investments, revenue, employment and to the growth of the country’s output. As such the Philippine Medium Term Development Plan (MTDP) has given priority to the tourism sector by promoting the Philippines as a premier tourist destination and investment site. According to World Travel & Tourism Council (WTTC) , Philippine international tourist arrivals are forecast to total 5,238,000, generating expenditure of PHP417.3bn, an increase of 8.2% pa by 2022. 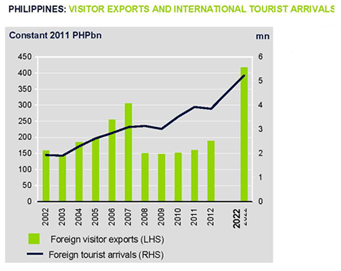 Philippine visitor exports are a key component of the direct contribution of Travel & Tourism. Visitor exports simply mean spending within the country by international tourists for both business and leisure trips, including spending on transport. WTTC further states that the direct contribution of Philippine Travel & Tourism to GDP is expected to grow by 6.5% pa to PHP400.4bn (2.4% of GDP)by 2022. This primarily reflects the economic activity generated by industries such as hotels, travel agents, airlines and other passenger transportation services (excluding commuter services). But it also includes, for example, the activities of the restaurant and leisure industries directly supported by tourists. As for the overall outlook, WTTC has the above data. All arrows are going up! Won’t that be enough for a positive outlook? Of course, hoping that there will be not much severe economic, environmental, or political uncertainties. Further DOT reports an increasing statistics on visitor arrivals as summarized in this graphic. As of writing, GMA reports that DOT sees 10% revenue growth each from local, foreign tourists.With 35 million local tourists expected in 2013, “Filipinos have great appreciation of travel, and we need not promote that hard,” said Tourism Assistant Secretary Benito Bengzon at the press launch of 20th Travel Tour Expo in Makati City on Tuesday. The DOT is expecting 5.5 million foreign tourist arrivals this year, said Bengzon. As a result, it is hoping for at least 50,000 additional rooms. 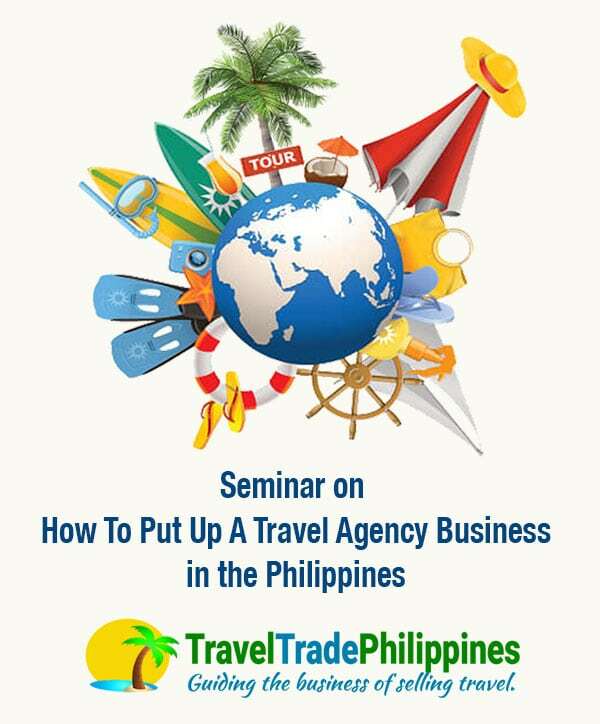 Further on industry updates, coping with the market demand and evolving with the trends, the Philippine Travel Agents Association is consistently holding the Travel Tour Expo. Since 1994, now in its 20th year, the show has evolved into a much awaited annual industry event covering practically all segments of the travel business, making it the biggest event for the travel and tourism industry. In 2012, more than 65,000 travelers/visitors were present which had 492 booths occupied by 255 firms. This years theme “Gateway to Getaways!” and will be held at the SMX Convention Center in Pasay City from February 17 to 19. See! 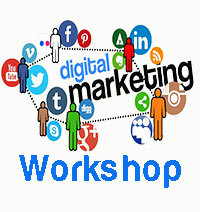 Even the industry events show increasing number of visitors! So if you are having second thoughts on investing or “investing further” on tourism-related business in the Philippines, consider the above outlook. 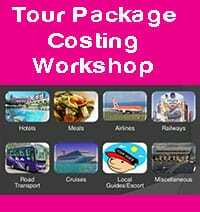 Click here for the principal industries involved in Tourism that you might want to choose from. Siteowner of traveltradephilippines.com, tyanggepinoy.com and creativeavenue.net. While she stays passionate about the travel industry, she also pursues a career in blog and social media entrepreneurship. 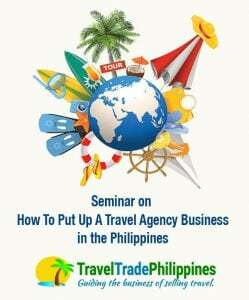 on Travel Agency 101: How to put up a travel agency in the Philippines? 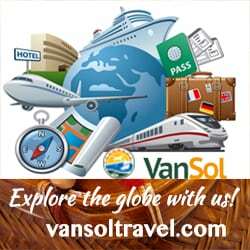 Travel Trade Philippines is a travel business and career guide and a blog on travel and tourism trade. It also brings the latest news, industry opinion, event coverage, roadshow promotions, product updates and destination features to the Philippine travel and tourism trade every month. Travel Trade Philippines was founded in 2013 by Clariza Nalam with the aim of helping travel entrepreneurs enthusiasts enhance their skills by providing the latest training and resources. Get in touch with us thru 09987900581 or CONTACT US.